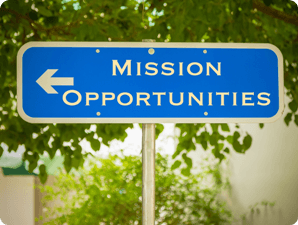 While mission opportunities directed by the CCCAS are limited, there are several opportunities to do mission that the CCCAS can offer through her mission partners. Browse through the mission opportunities below to see what the CCCAS has available. Make sure to check back here often as new mission opportunities will be added once they become available. If there are any opportunities here that interests you, contact the Office of the CCCAS General Secretary for more information (GenSec@efkasonline.org). The CCCAS Mission program was designed to assist Samoan families and communities who live in areas far away from CCCAS member congregations. To begin a congregation of their own in the area in which they live, a requests is sent to the CCCAS to provide a missionary to help begin the congregation and provide for the spiritual needs of the congregants. submit a letter of intent to the Office of the CCCAS General Secretary. For more information regarding the requirements to participate in the CCCAS mission program, contact the Office of the CCCAS General Secretary (GenSec@efkasonline.org). The Partner in Mission (PIM) program is a coordinated approach by CWM to sharing people between member churches and, in some cases, the wider ecumenical community. The term ‘Partner in Mission’ refers to an individual who serves in a context outside of his/her own nation and member church, using skills, experiences and gifts which are needed in the new context that they serve. If you would like to become a partner in mission on behalf of the CCCAS, contact the Office of the CCCAS Secretary for more info (GenSec@efkasonline.org). Another mission related program offered by CWM, focusing mainly on the youth, is the Leadership Formation Program. This program encompasses several other programs designed to training the youth for mission and leadership formation, such as Training in Mission (TIM), Face to Face, Young Women’s Leadership Development and Youth Initiatives. The Office of the CCCAS General Secretary will send out notifications to member congregations once applications for these programs are being accepted. Global Ministries offers several mission opportunities that CCCAS members can apply for. There are priority mission positions in the Dominican Republic, Botswana, Jamaica, and Haiti just to name a few. There are mission opportunities available for the youth as well. There are also volunteer programs for anyone who is interested. If you are interested in doing overseas mission, look over all the opportunities that Global Ministries has to offer, and contact the Office of the CCCAS General Secretary if you wish to apply (GenSec@efkasonline.org). All motions for the 7th Revision of the CCCAS Constitution must be submitted to the Office of the General Secretary no later than July 2019. The names of all delegates representing the Standing Committees (except the Elders’ Committee and Standing Committee Chairpersons), Fellowships, and Regions/Districts must also be submitted (See the Revision Commission). At your earliest convenience, please submit to the Office of the Treasurer your receipts for airfares paid to travel to American Samoa in order to process your reimbursement (lowest airfare policy in effect). E tatau ona o’o atu ia Iulai 2019, ua fa’aoo mai i le Ofisa a le Failautusi Aoao o mataupu uma mo le Iloiloga o le Faavae. Ia vave faaoo mai i le Ofisa a le Teutupe o risiti o pasese sa totogiina e malaga mai ai i le Iloiloga o le Faavae, e fuafua ai le toe fa’aolaina (fa’aaogaina aiaiga mo pasese maulalo). Like most website operators, Congregational Christian Church of American Samoa (CCCAS) collects non-personally-identifying information of the sort that web browsers and servers typically make available, such as the browser type, language preference, referring site, and the date and time of each visitor request. Congregational Christian Church of American Samoa (CCCAS)’s purpose in collecting non-personally identifying information is to better understand how Congregational Christian Church of American Samoa (CCCAS)’s visitors use its website. From time to time, Congregational Christian Church of American Samoa (CCCAS) may release non-personally-identifying information in the aggregate, e.g., by publishing a report on trends in the usage of its website. Congregational Christian Church of American Samoa (CCCAS) also collects potentially personally-identifying information like Internet Protocol (IP) addresses for logged in users and for users leaving comments on https://efkasonline.org blog posts. Congregational Christian Church of American Samoa (CCCAS) only discloses logged in user and commenter IP addresses under the same circumstances that it uses and discloses personally-identifying information as described below. Certain visitors to Congregational Christian Church of American Samoa (CCCAS)’s websites choose to interact with Congregational Christian Church of American Samoa (CCCAS) in ways that require Congregational Christian Church of American Samoa (CCCAS) to gather personally-identifying information. The amount and type of information that Congregational Christian Church of American Samoa (CCCAS) gathers depends on the nature of the interaction. For example, we ask visitors who sign up for a blog at https://efkasonline.org to provide a username and email address. Congregational Christian Church of American Samoa (CCCAS) may collect statistics about the behavior of visitors to its website. Congregational Christian Church of American Samoa (CCCAS) may display this information publicly or provide it to others. However, Congregational Christian Church of American Samoa (CCCAS) does not disclose your personally-identifying information. To enrich and perfect your online experience, Congregational Christian Church of American Samoa (CCCAS) uses “Cookies”, similar technologies and services provided by others to display personalized content, appropriate advertising and store your preferences on your computer. These terms and conditions outline the rules and regulations for the use of Congregational Christian Church of American Samoa (CCCAS)’s Website. The following terminology applies to these Terms and Conditions, Privacy Statement and Disclaimer Notice and any or all Agreements: “Client”, “You” and “Your” refers to you, the person accessing this website and accepting the Company’s terms and conditions. “The Company”, “Ourselves”, “We”, “Our” and “Us”, refers to our Company. “Party”, “Parties”, or “Us”, refers to both the Client and ourselves, or either the Client or ourselves. All terms refer to the offer, acceptance and consideration of payment necessary to undertake the process of our assistance to the Client in the most appropriate manner, whether by formal meetings of a fixed duration, or any other means, for the express purpose of meeting the Client’s needs in respect of provision of the Company’s stated services/products, in accordance with and subject to, prevailing law of American Samoa. Any use of the above terminology or other words in the singular, plural, capitalization and/or he/she or they, are taken as interchangeable and therefore as referring to same. Unless otherwise stated, Congregational Christian Church of American Samoa (CCCAS) and/or it’s licensors own the intellectual property rights for all material on Congregational Christian Church of American Samoa (CCCAS). All intellectual property rights are reserved. You may view and/or print pages from https://efkasonline.org for your own personal use subject to restrictions set in these terms and conditions. Redistribute content from Congregational Christian Church of American Samoa (CCCAS) (unless content is specifically made for redistribution). If you are among the organizations listed in paragraph 2 above and are interested in linking to our website, you must notify us by sending an e-mail to cccas@efkasonline.org. Please include your name, your organization name, contact information (such as a phone number and/or e-mail address) as well as the URL of your site, a list of any URLs from which you intend to link to our Web site, and a list of the URL(s) on our site to which you would like to link. Allow 2-3 weeks for a response. No use of Congregational Christian Church of American Samoa (CCCAS)’s logo or other artwork will be allowed for linking absent a trademark license agreement.